I left Longview, Texas, at 9 am and arrived at the Waverly, Tn., exit off of I-40 at 6 pm. I went to the Holiday Express Inn and checked into my room. Pastor John Johnson was so kind to have fruit, snacks (0 fat grams), bottle water, Gospel tracts, and spending money in my room. Pastor Johnson pastors the River Lake Baptist Church of Waverly, Tn., which is about 30 minutes form the motel. I unpacked and then drove to the church to deliver my books for the book table. The pastor was there getting ready for a church fellowship for tonight and for some fire works. We chatted for a few moments. He gave me two books to read. I am anxious to read them. They were written by Mark A . Gabriel, PH.D. The two titles are “ISLAM AND TERRORISM” and “ISLAM AND THE JEWS.” This dear author is a convert from Islam! I’ll let you know what I think of the books when I finish reading them! I went back to my room to lay down for a little bit but I couldn’t rest so I decided to go soul winning. I went back to Waverly, which is about 30 minutes from the motel. 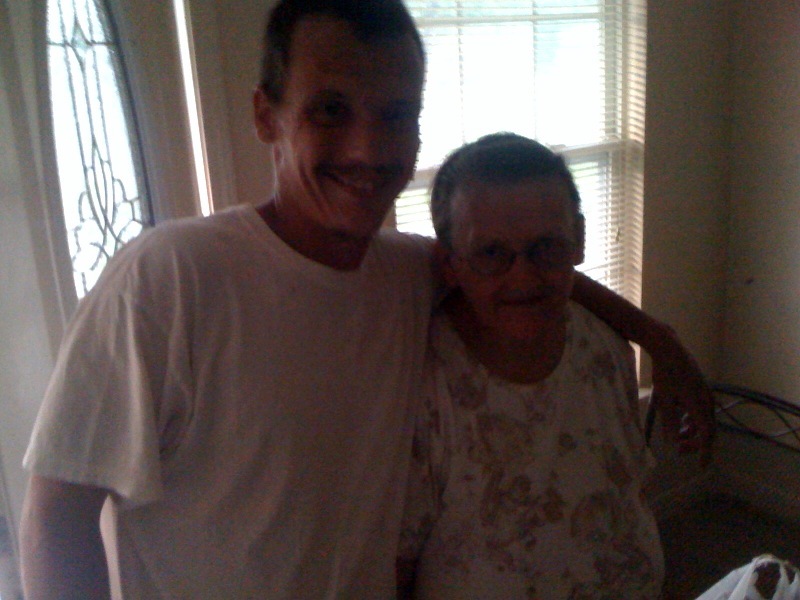 I meet Daniel and his mother Linda waling down the road. I gave them a ride to their home where I met Daniel’s wife Beth and their three sons. Daniel asked if I could take him to Wal Mart and I said yes. Please do not tell my wife that I went to Wal Mart or she will ask what did I buy for her. If there is no Wal Mart in Heaven I doubt if she will want to go! Ha! I brought Daniel back to his house and had the privilege of leading Beth and her oldest son Daniel to Christ. WOW! GOTTA LOVE SOUL WINNING!